Our latest No Contest episode follows surfing's world tour to Bells Beach in Australia for Mick Fanning's epic last hurrah. 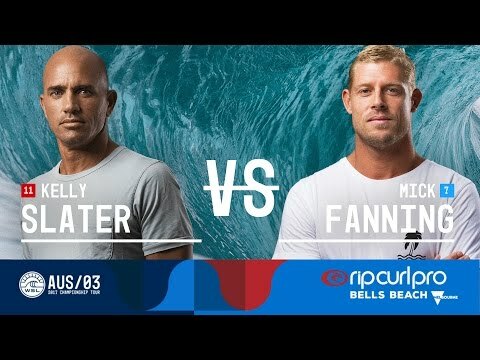 The 2018 Rip Curl Pro was billed as the Festival of Mick Fanning and the three-time world champion's last-ever world tour event more than lived up to expectations. Although Fanning came one heat short of the ultimate fairytale finish, falling to a blistering Italo Ferreira in the final, a second-place finish sees one of surfing's all time greats walking away from the sport while sitting at an astonishing third on the world rankings. With his maiden event win Italo has joined Julian Wilson at the top of surfing's totem, and the two men will share the yellow jersey next week when the surfing caravan rolls into Margaret River. Fanning first tasted success at the highest level here at Bells Beach, winning as a wildcard in 2001, a feat he would repeat three more times before calling curtains on one of surfing's great careers. Twenty-two event wins and three world titles later, we sent our No Contest crew of Jacob Wooden and Stab's Dylan Roberts to Victoria to tail the King Of Coolangatta through his epic send off, and boy did they deliver. As well as the usual high-performance surf action and celebrity head Q&As on the beach, we're thrilled to sneak you behind the velvet rope at Mick Fanning's farewell party, and hope you enjoy the edit as much as we delighted in bringing it all together. MOUNTAIN RACE - Red Bull Sea to Sky 2017 | Graham Jarvis won 5th time!